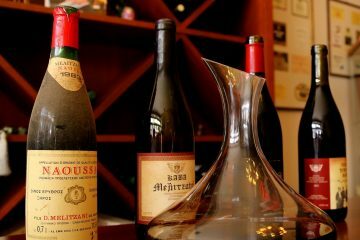 The designer and producer of a highly rated wine suitcase has accused a major wine gear purveyor of stealing his design. 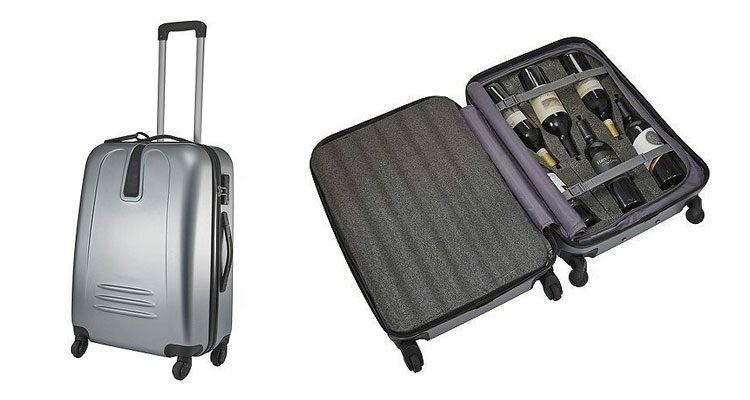 Barry Wax, who conceived and produced the original VinGardeValise (VGV) in 2014, alleged that the new Vino-Voyage (VV) wine suitcase – designed and marketed by Wine Enthusiast – is a clear case of patent infringement. “It’s absolutely a ripoff, no question,” Wax said. Wine Enthusiast declined to comment on the charge. The allegation emerged recently when we at Palate Press decided to update our review of wine luggage. Two years ago, we reviewed specialized luggage designed for transporting wine or other bottles in an airline baggage hold. The days when one could just throw a couple of bottles of wine in a carry on bag, of course, are long over, having died after 9/11. Nowadays, TSA screeners will accost anybody trying to board the aircraft with any liquid larger than a small bottle of shampoo. So we checked out these new bags on the market aimed at the traveling oenophile, and our top pick was the VinGardeValise, designed and sold by Wax’s small independent firm. And while they look radically different outside, they are very similar inside. There, said Wax, is the problem. The suitcase itself, Wax continued, cannot be patented. His patent, which was secured in 2014, is on the handles, and especially the design of the foam inserts that hold bottles. A 2015 Wine Enthusiast magazine article on traveling with wine, interestingly, makes no mention of either the VGV or their own product, which only appeared in the Wine Enthusiast catalogue this past spring. The dimensions are similar: the VGV is 27.6in x 18.4in x 13.6in; the VV is 27in x 19in x 13in. The VV looks sleeker, like a standard spinner suitcase, with one top grip handle and a telescoping handle. The VGV, in contrast, is boxier, with two top grip handles and a telescoping handle. Both have zippers with TSA-approved locks. In addition, the VGV has attached exterior restraining straps as additional protection. (This is an improvement over the previous model, in which the straps were not directly secured to the bag. Having them attached eliminates any risk of lost or burst straps when TSA agents open it.) Both have solid wheels, and the VGV has added a handle at the bottom to make it easier to lift. They are both easily maneuverable. Upon opening the bags, at first glance the interior looks virtually identical. Each side has foam inserts for 6 bottles – although the orientation of the inserts differs between the two – and a foam pad for the top. The insert slots on both have small foam bits which adjust to accommodate tall bottles (Riesling-style), square shoulder (Bordeaux or Cabernet bottles), and sloping shoulder (Burgundy). I did notice a few key differences. The obvious one is insert depth, which we measured. Wine Enthusiast’s measures 2 inches deep, while the VGV’s are 2 ½, giving the latter a big leg up. 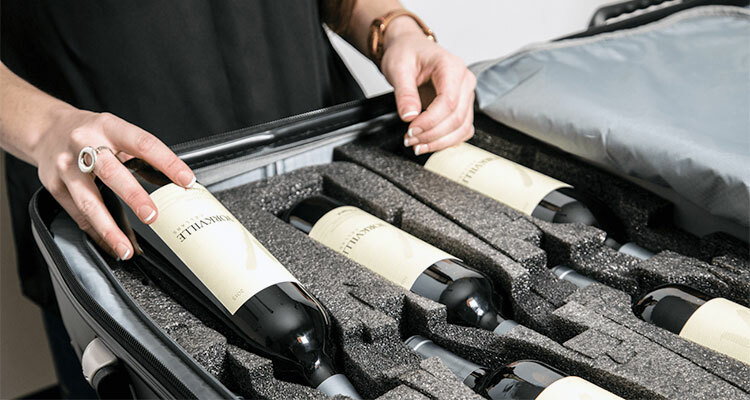 In addition, VinGardeValise sells additional inserts to accommodate magnums, glasses, and even a do-it-yourself version that can be adjusted for carrying odd sizes, like square bottles of liquor or small containers of that newly discovered special hot sauce. The VGV also has wider and stronger internal straps to hold the foam pads on the inserts, and comes with an additional internal pad. Both cases are made in China. In fact, that’s where Wax first discovered the allegedly copied design. VinGuardValise has, according to Wax, reached out to Wine Enthusiast four times about the matter, but has only received a single email denying any infringement in response. “We are certainly willing to talk to them,” he added. In reply to several of our own inquires to Wine Enthusiast to offer them an opportunity to rebut Wax’s charges, we were repeatedly told they had no comment. 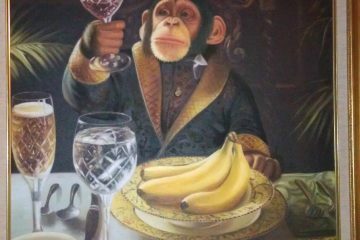 Wax could, of course, sue Wine Enthusiast for patent infringement, but such suits are a long and expensive process. VinGardeValise is a small outfit that makes and sells only a single line of products, while Wine Enthusiast is a large firm that not only sells a wide range of wine accouterments, but has its own magazine as well. (In fact, Wine Enthusiast once sold the VGV, but the relationship apparently soured over sales and marketing issues.) As such, this path is prohibitively expensive. Both cases are in fact high quality, but the VinGardeValise Grande 04 does come across as the better pick. It has garnered strong reviews, and after testing each one, we reaffirm it as Palate Press’ top choice. Features like the extra foam, deeper insert pockets, and exterior straps deliver more peace of mind about those precious bottles in the airplane hold and the baggage carousel. The customizable inserts are a plus as well. 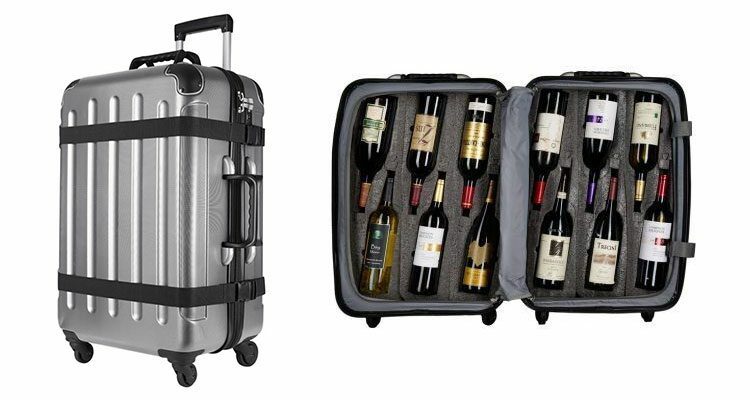 The VinGardeValise Grande 04 (also on Amazon) and the Wine Enthusiast Vino-Voyage both sell for $299.99.